Born in Buenos Aires, Argentina, Adrián Minkowicz, also known as “The Argentinean,” is an award-winning comedian based in New York. 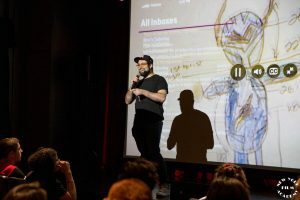 He performs stand-up in English and Spanish with equal success, touring internationally, performing in major clubs and festivals like “Just for Laughs” and the “Fringe” in Edinburgh. 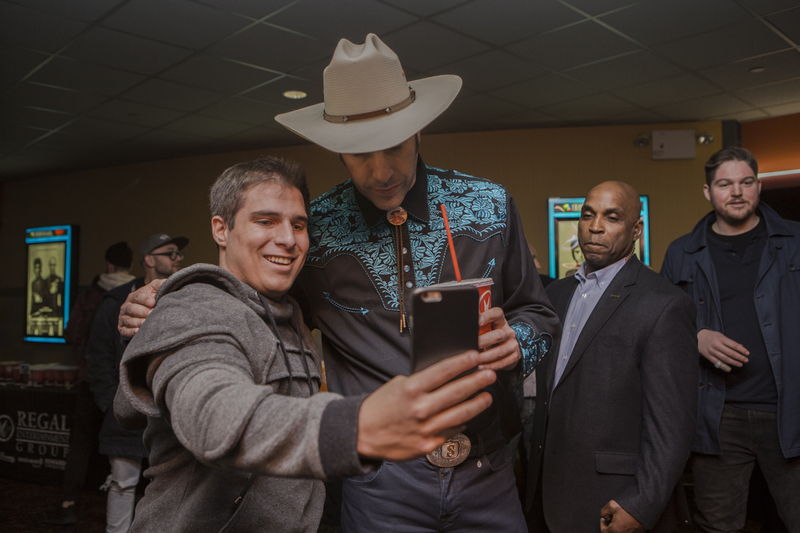 He has been featured guest on talk-shows and done sets on TV in Europe, South America and in the USA, on shows like “the Artie Lange Show” and “Gotham Comedy Live.” He also opened for renowned comedians like Artie Lange and Godfrey. A prolific published writer, Minkowicz is also the author of several theatre plays, TV scripts, articles for magazines and newspapers, and sketches for radio. Minkowicz will be featured in tonight’s April 27 open mic show at the New York Film Academy Theater at 17 Battery Place in lower Manhattan, hosted by NYFA Instructor Criag Fox. 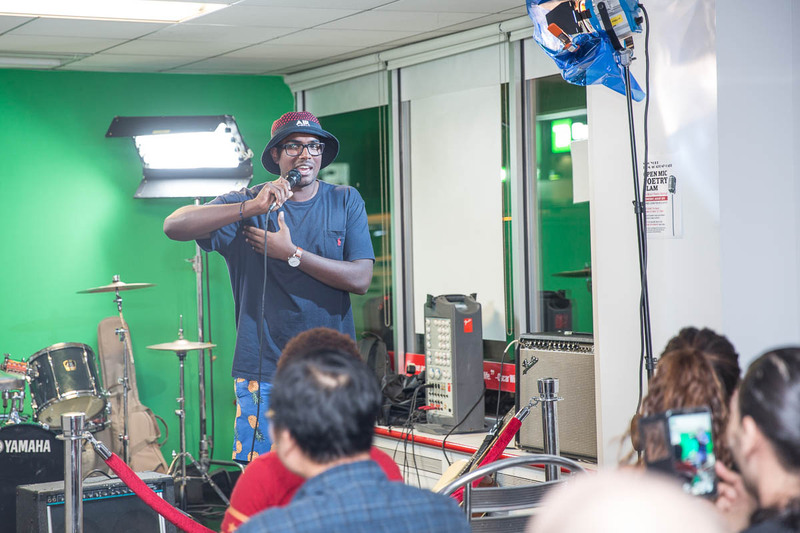 The evening begins at 7pm and includes a night of stand-up, live music, and poetry where NYFA students have the opportunity to share the stage with NYC pros. He will be performing for an hour at the “Best Newcomer” all August at the Fringe Festival in Edinburgh. It’s a solo show with stand-up, film, and music, featuring known and not so known comedians from around the globe “advising” him on what is the best way to win a prize a the festival. 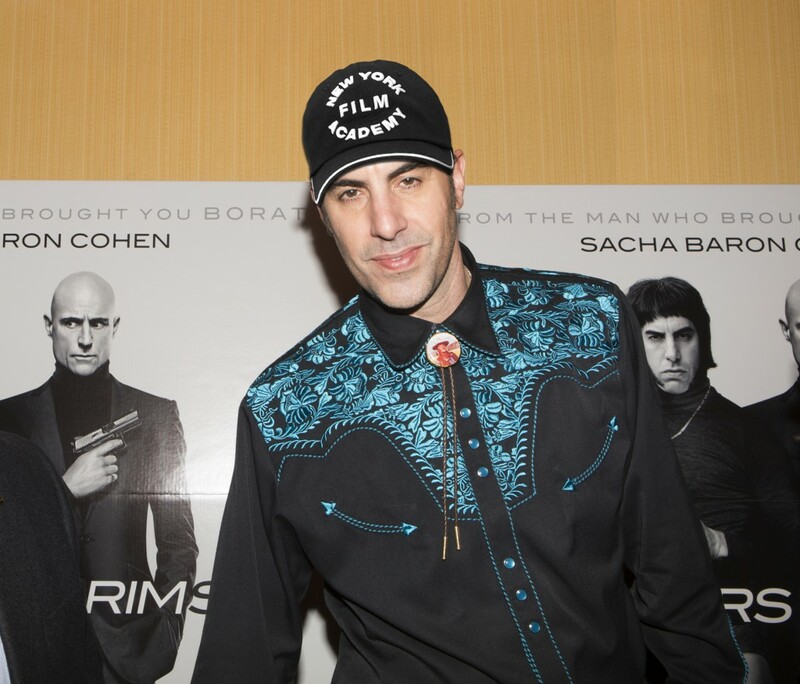 As a man who has built a career on shocking his audience, Sacha Baron Cohen continues to push the envelope with his new comedy, The Brothers Grimsby. 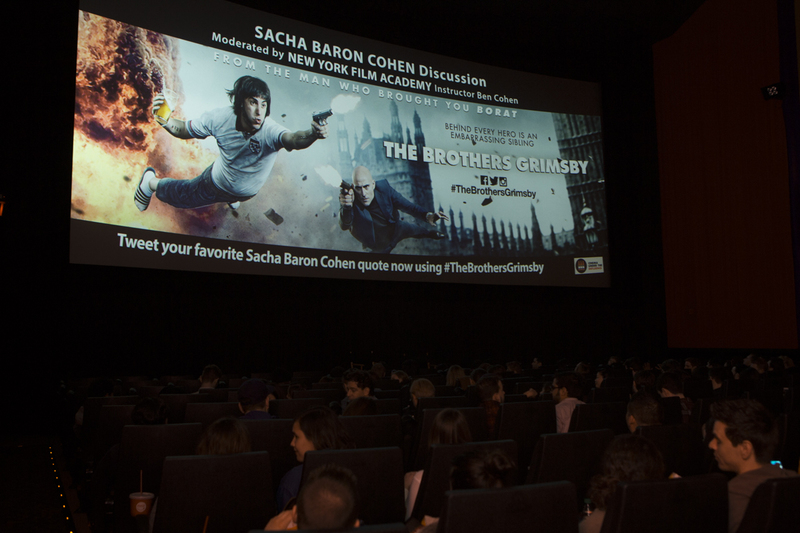 In celebration of his new release, Sony invited New York Film Academy students to a special New York City screening, which was moderated by NYFA Instructor Ben Cohen. 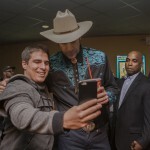 Adorned in some sort of hipster, cowboy attire, the always hilarious Sacha Baron Cohen took the time to chat and take photos with our students. 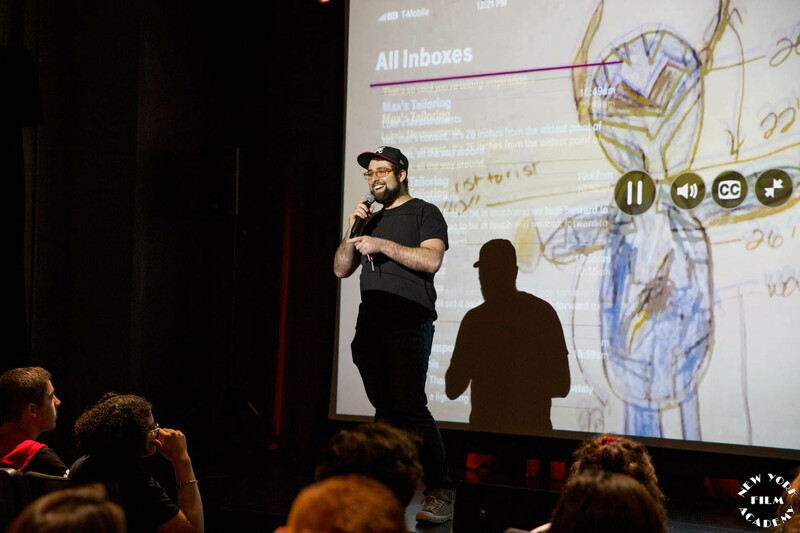 Before screening the film, Sacha showed us an exclusive behind-the-scenes look at some of the production behind Bruno, which gave insight into the delicate and creative planning that goes into each bit. It’s actually more complicated and dangerous than one would think. The Brothers Grimsby, which also stars actors Mark Strong, Isla Fisher, Rebel Wilson and others, revolves around a football hooligan who winds up teaming up with his long lost brother, a top spy, in order to ultimately save the world from a deadly virus outbreak. As expected, the film delivers outrageous moments that would only fly in Cohen’s world, and one can’t help but laugh. 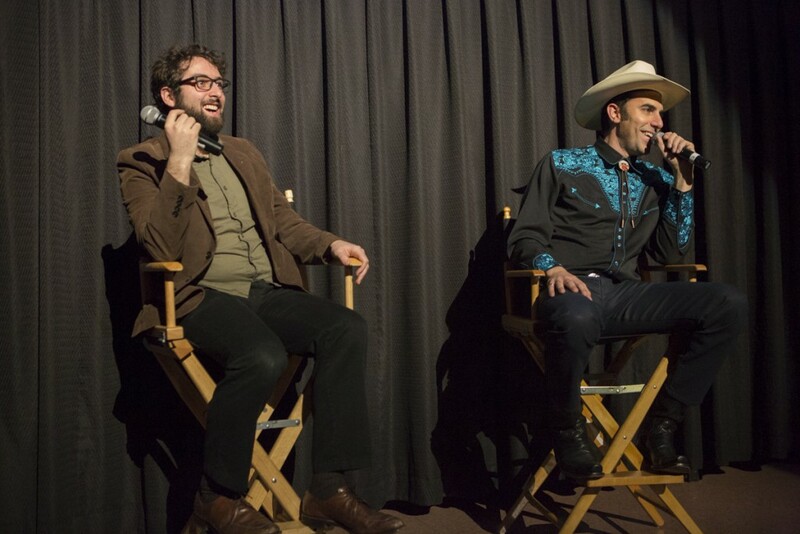 Following the screening at the Regal Union Square in New York, Ben Cohen opened up a discussion with Sacha Baron Cohen that focused on the character and story development that went into the pre-production of the film. 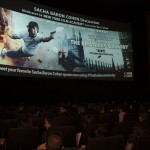 Sacha explained how he sees his rowdy, family-oriented character as a sort of “everyman” thrown into the high-tech world of a spy where the stakes are extremely high. Several NYFA students were given the opportunity to ask questions as Ben opened the discussion up to the sold out Regal theatre. In fact, at one point, the crowd seemed as though they were on a comedy audition of their own as the discussion included a bit of hilarity in itself. 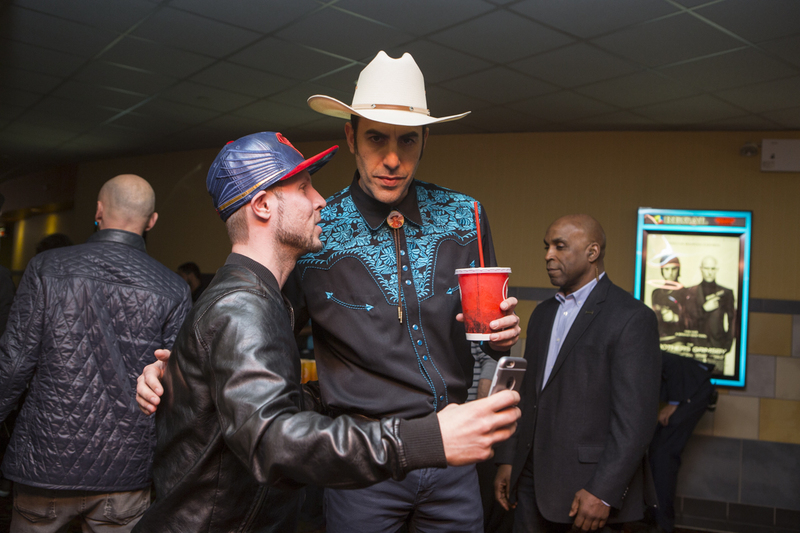 “I had an amazing night with other NYFA students and also got to meet one of my heroes, Sacha Baron Cohen,” said NYFA student and U.S. veteran, Corporal Michael J. Lynch. 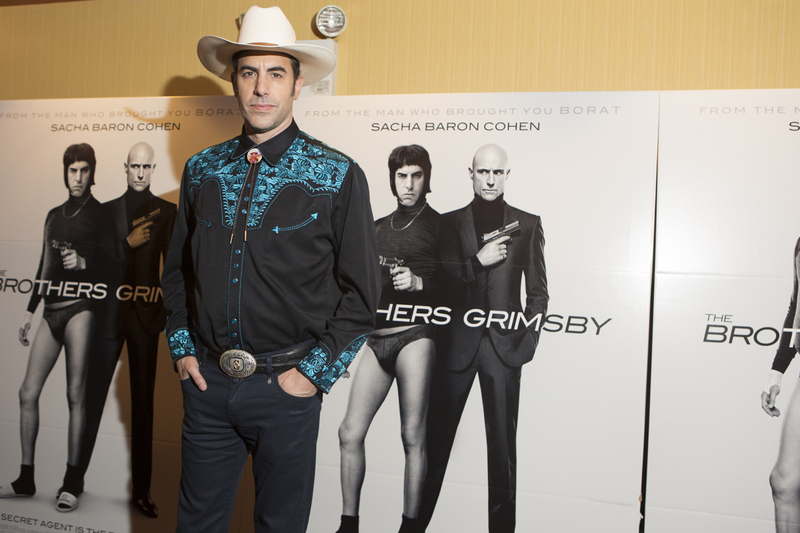 The Brothers Grimsby is now playing in theaters. With summer winding down and many of you returning for another semester in the city, we thought perhaps you’re looking for something fun to do during the week. 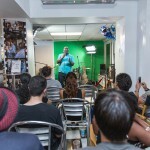 As such, the New York Film Academy Café at Lexington Ave. and 24th Street will be hosting an Open Mic Comedy Night, hosted by Ismael Maldonado, on Wednesday, September 9th, 2015. In addition to up and coming comedians, the Comedy Show will include seasoned pro’s Robyn Schall, Eman Morgan and Caitlin McKee. 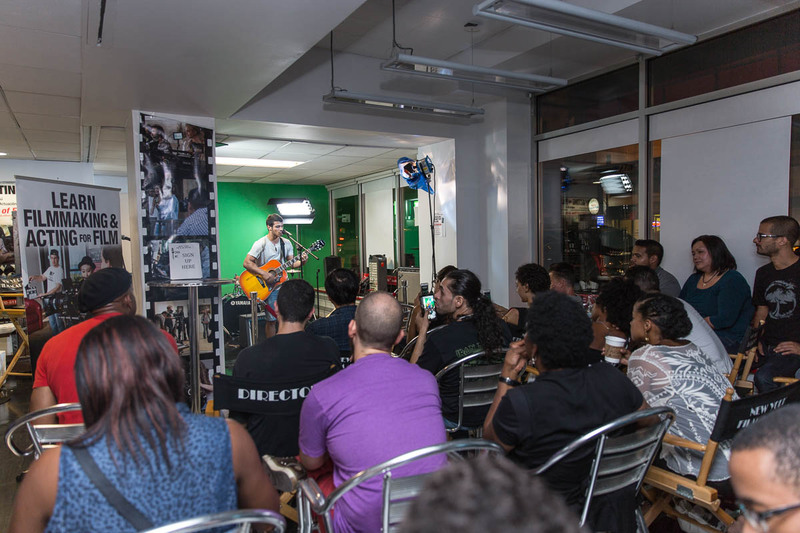 While NYFA students and alumni are strongly encouraged to participate or attend, the event is free to the general public and mics are open to all. 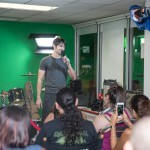 If you’re hesitant to try our open mic, check out this one and perhaps perform at our next one! 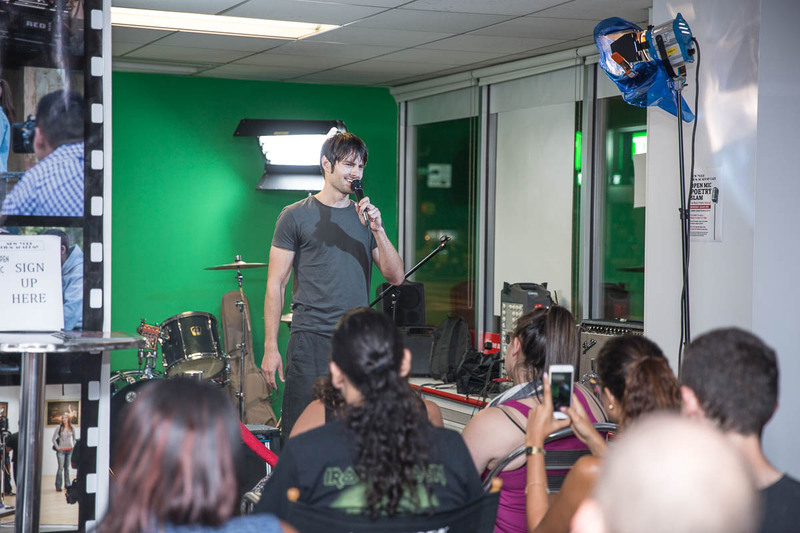 The comedy open mics will be a weekly Wednesday event that will include comedians booked by NYFA Improv instructor and comedian, Craig Fox. In addition, the band Lateef Beats will make a performance for all in attendance! 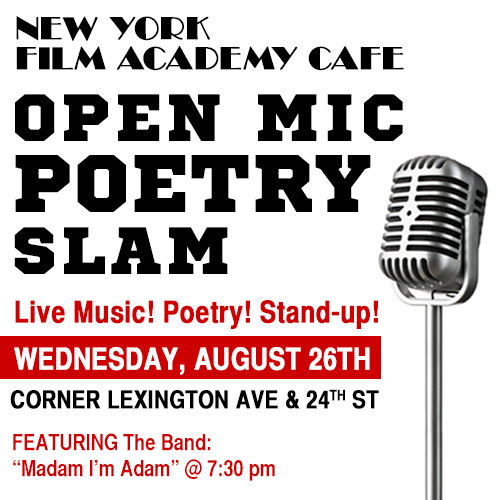 Starting this Wednesday, August 26th, 2015 at the New York Film Academy Café on the corner of Lexington Ave. and 24th street in New York City, students, alumni and New York City performers are invited to showcase their talents at our first ever OPEN MIC SLAM! 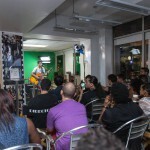 Performances are open to live music, poetry or stand-up comedy! Sign up starts at 7pm. Performances start at 8pm. The first 25 people to sign up are allowed up to 4 minutes on stage to perform. There is then a 5 slot waiting list for any extra time at the end of the show. 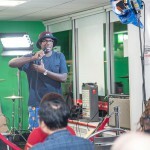 Artists must bring their own music and props for their performances. If you’re ready to showcase your talent, we’ll see you there! 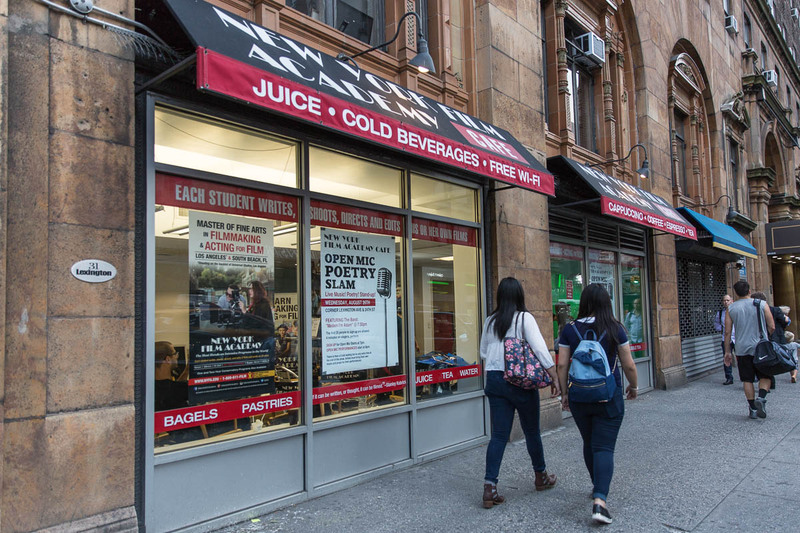 If you have any questions, please email Calaine Schafer at calaine.schafer@nyfa.edu. 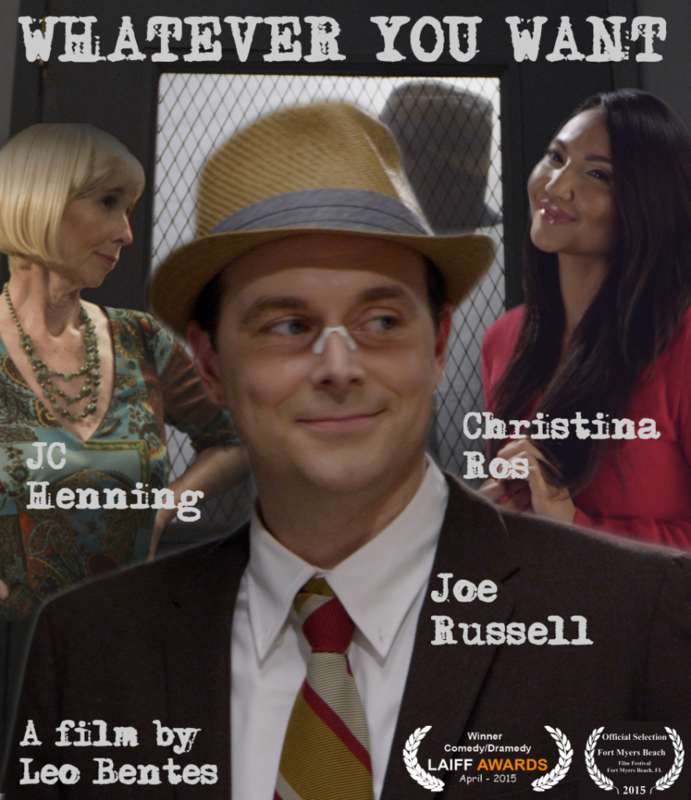 Inspired in large part by Robert Zemeckis’ Who Framed Roger Rabbit, New York Film Academy One-Year Filmmaking alumnus Leonardo Bentes’ film, Whatever You Want, which recently won Best Comedy / Dramedy at April’s Los Angeles Independent Film Festival Awards, combines elements of film noir with slapstick comedy. Bentes even admits his protagonist has influences from the classic Hanna-Barbera cartoon character Hong-Kong Phooey. Indeed, all the makings of a silly comedy. Whatever You Want, which was Bentes’ NYFA thesis film, focuses on Benjamin Sherman, a clumsy private investigator who begins to work on a case for a beautiful young woman — the femme fatale. As usual, Benjamin doesn’t get things done right. 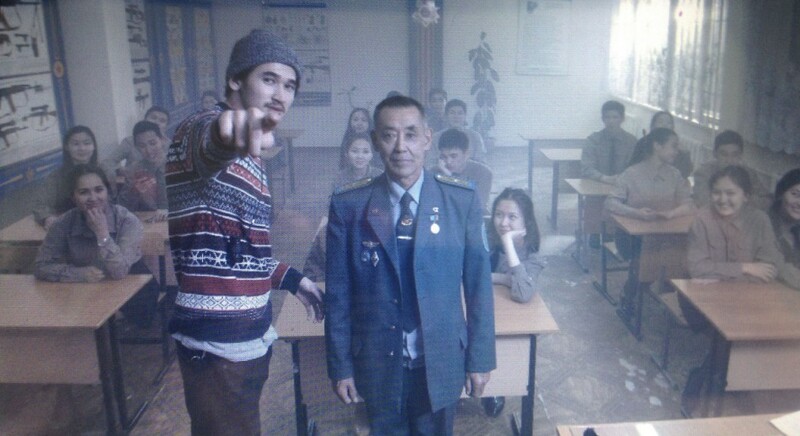 Bentes feels strongly that his thesis film will serve as his business card into the professional world of directing. 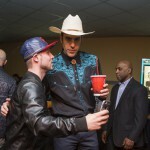 While he has began outlining a TV pilot for Whatever You Want, he hopes his next project will be a feature comedy with some musical influence. Whatever You Want (trailer) from leo bentes on Vimeo. 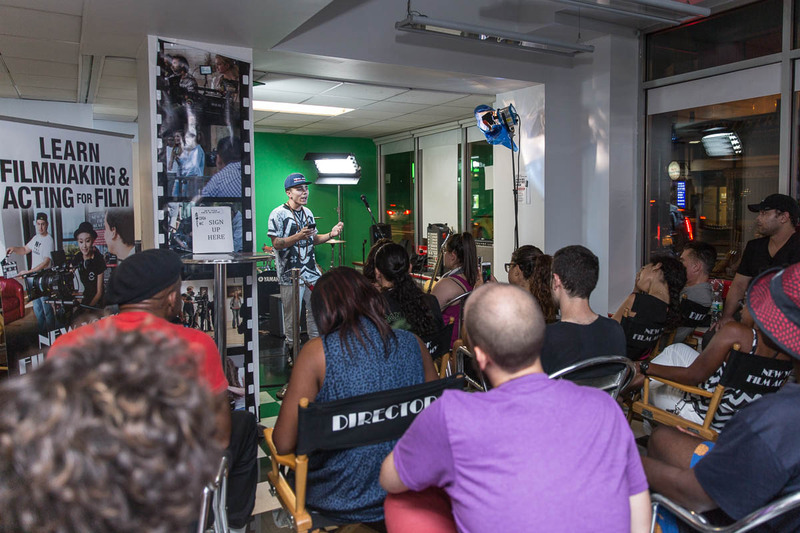 One of the many enticing aspects of attending one of the New York Film Academy’s programs is the ability to learn hands-on from professionals who have and continue to have such a strong grasp of the professional entertainment business. The best teacher is someone with real life experience in his or her field. Our Los Angeles Acting for Film Chair, Lynda Goodfriend, oversees the acting for film school with a tremendously versatile and impressive background, having performed and acted in both New York City and Los Angeles. After being in a couple of very small roles in Martin Scorsese’s Taxi Driver with Robert De Niro and The Front with Woody Allen, Lynda drove to Los Angeles with ambition and her SAG card. To her surprise, Goodfriend booked a variety of sitcom roles, rather than the dramas she was accustomed to. Lynda is most well known for her role as Lori Beth Cunningham in the hit TV series Happy Days. Along the way she did two other sitcom series, many guest star roles, and several roles in feature films working with such actors as Tom Hanks, Bette Midler, and Julia Roberts. One of her fondest moments, as she recalls, was working with Ray Bolger, the ‘Scarecrow’ from the Wizard of Oz, on an episode of Fantasy Island. Taking a break from television, Goodfriend started her own acting school, The Actors Workout in NoHo (North Hollywood, the Theatre District), and developed two schools and a Theatre. She was also the head of a management company, Young Artists Management for many years, working with clients from top talent agencies such as CAA, ICM and William Morris. 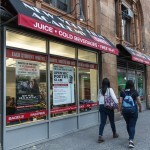 Actor Ed Begley Jr. visited the New York Film Academy Theater in Los Angeles to speak with students after screening a comedic acting reel spanning over 50 years in the entertainment industry. Ed Begley Jr. received six Emmy nominations for his portrayal of Dr. Victor Ehrlich on the hit 80’s series, “St. Elsewhere.” He also starred in the HBO movie “Recount” with Tom Wilkinson and Laura Dern, as well as recurring roles on “Six Feet Under,” “Arrested Development,” and “Boston Legal.” In features, Begley co-starred in the Woody Allen’s “Whatever Works” with Larry David, as well as the Seth Rogan/Judd Apatow film, “Pineapple Express”, “Batman Forever,” and Christopher Guest films “A Mighty Wind” and “Best In Show,” among many others. Upcoming HBO roles include the series “Family Tree” created by Christopher Guest and starring Chris O’Dowd coming this May and movie “Muhammad Ali’s Greatest Fight” starring Christopher Plummer and Danny Glover. He is one of the Governors of the Motion Picture Academy, following in footstep of his Academy award winning father. Producer Tova Laiter and NYFA LA Dean of Students Eric Conner moderated the discussion. “If my dad was a plumber,” said Ed Begley Jr., “I’m pretty sure I’d be laying pipe right now. I just wanted to follow in his footsteps.” Well it just so happened that Begley‘s father was an Academy Award winning actor. After starting out as an actor Begley soon discovered that even if his father wanted to get him a role, he couldn’t. That’s just not how it works. 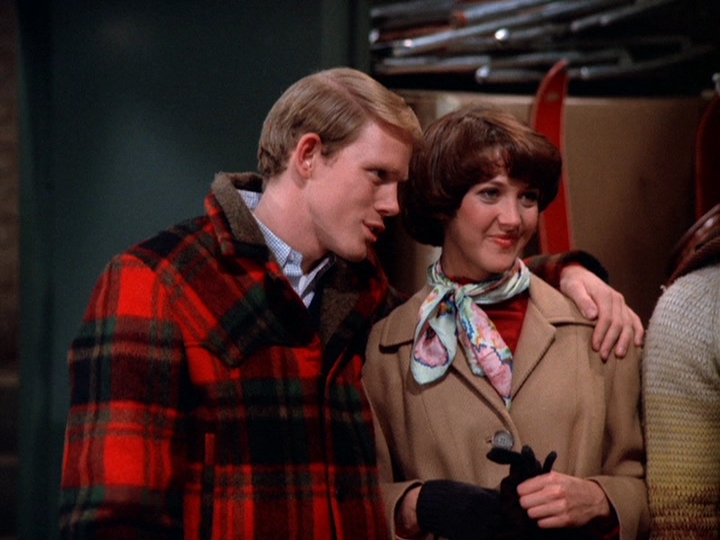 But to anyone who’s seen Ed Begley Jr. in movies or on TV (and it’s hard not to given his prolificness as an actor) his talent and magnetism are undeniably what have earned him success. There are two advantages, however, that he discovered came with being Hollywood royalty: 1. It gave him something to talk about with people who knew his father, and 2. People were more likely to remember his name. Begley started taking acting seriously when he landed the role as Dr. Victor Ehrlich on “St. Elsewhere.” He spent an immense amount of time in hospitals and even going on fishing trips with doctors. And his hard work paid off, earning him six consecutive Emmy nominations for his role in the show. Ed Begley Jr. is just as famous for being a longstanding and tremendously passionate environmentalist as he is for being an actor. In fact, he was a environmentalist long before it was “hip” to be one. He’s been driving an electric car for decades and is even the subject a reality show, “Living With Ed,” which centers around the what some would call extreme measures he takes to protect the environment, but what he feels are absolutely necessary. Ed has stood by his beliefs even when they cost him work. “There was extensive period in the 90’s when the studios chilled me out,” says Begley, “and the only work I could get was on independent films.” People were scared of him, afraid he may try to shut down production if there weren’t recycling bins on set. On one particular production, the assistant director came to Begley in a panic because they had called everywhere in America but couldn’t find an electric car for the scene in which he drives a station wagon a mere 30 feet down a driveway. Begley told the crew member to relax, he’d have no problem driving a gas powered car for the scene. The irony is that Begley now gets many jobs BECAUSE he’s a passionate environmentalist. For instance, he played himself in a episode of “The Simpsons” in which Homer decides to be a tree-hugger. 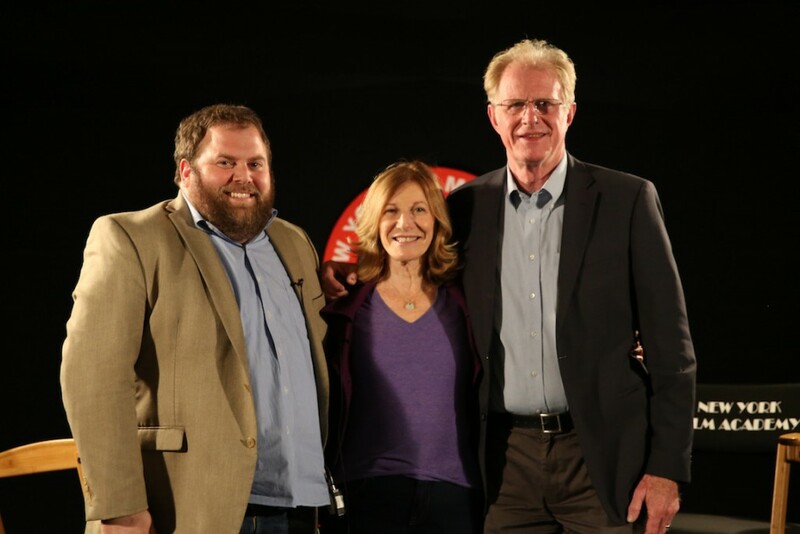 Eric Conner, Tova Laiter and Ed Begley, Jr.
It’s clear that Ed Begley Jr. absolutely loves acting. Given his stature, he has the luxury of only accepting great work and doesn’t have to audition for roles the majority of the time. However, whenever he’s asked to read for a part, he loves doing it. “I love it because while I’m in that room reading for the part I get to BE that character. If I get the role that’s just icing on the cake.” This was a point that he highly emphasized to actors in the room. You have to love acting and know 100% that it’s what you want to do. “Whenever somebody comes to me and says, ‘I’m thinking about becoming an actor’ I immediately know it’s a bad idea. But when someone comes to me and says, ‘Ed, I just got to burning desire within me to act’, then I know they’ve got a chance.” Since it seems Ed Begley Jr.’s done just about everything in the acting world, is there anything he hasn’t done that he would like to do? Ed says he’d love to act on Broadway since it’s something he has hasn’t gotten around to yet. We sincerely thank this amazing man of immense talent and noble ideals for visiting NYFA and can’t wait to see him again on the big screen, TV, and, yes, Broadway stage! On Saturday, February 14, Industry Lab students and others—through the Diversity Development Department—participated in the filming of three major events in a row at the Pan African Film Festival. The first two events were produced by Kim Ogletree, NYFA Producing Instructor, and executive produced and directed by Neema Barnette, the first black woman to win an Emmy directing comedy. 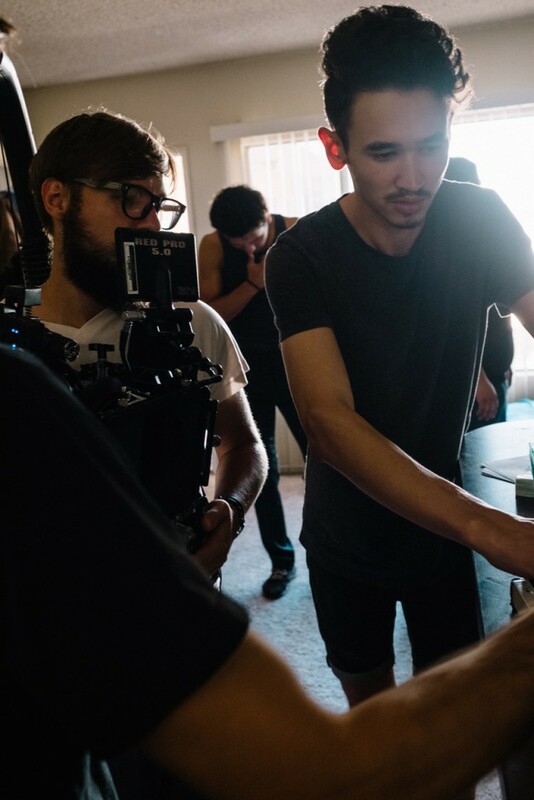 The Director of Photography was Tommy Maddox Upshaw who is a Cinematography Instructor at NYFA. 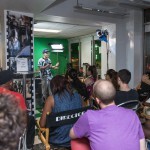 NYFA provided some of our hard-working students and equipment. The first interview was the Power Broker discussion with Sony Executive, Producer DeVon Franklin. 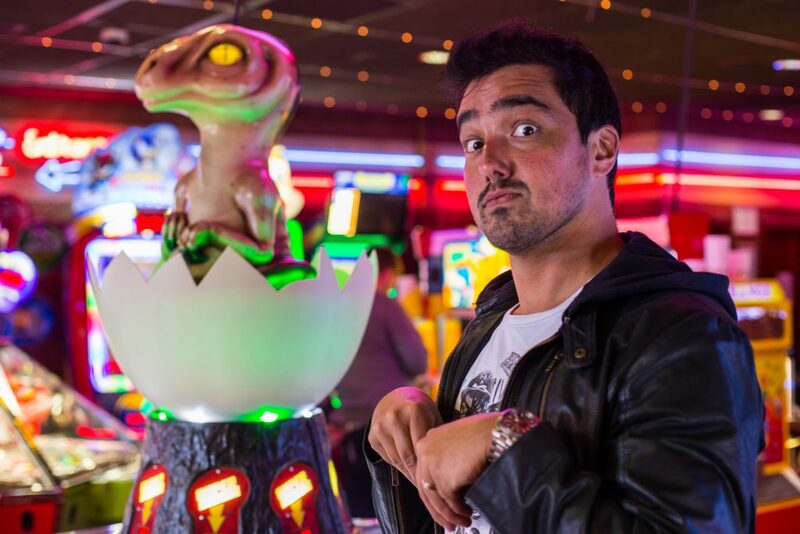 He is also a film producer and has worked on projects like The Karate Kid, Not Easily Broken, Hancock and Heaven Is for Real. Next, the students helped document a conversation with Denzel Washington. 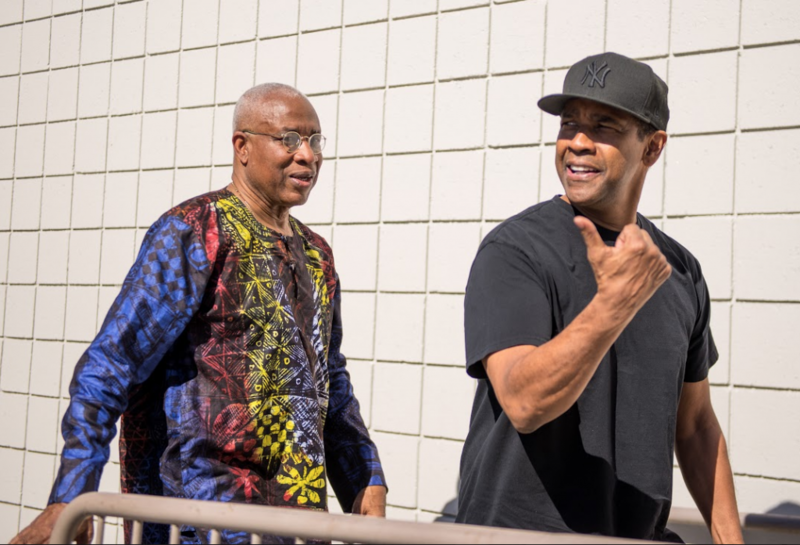 Having directed Denzel in Devil In a Blue Dress and Out of Time, director Carl Franklin (House of Cards) was the one who interviewed Mr. Washington. 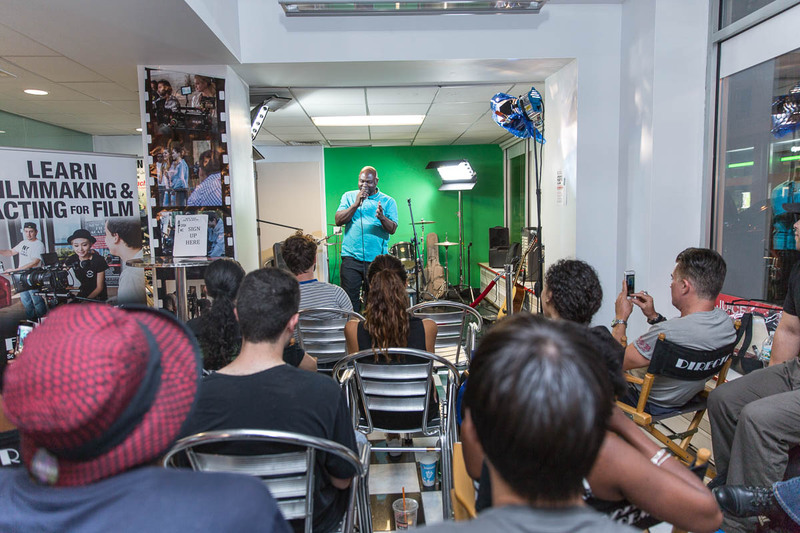 Lastly, the students took stills for DGA Panel Event, hosted by NYFA Instructor, Jeff Byrd, Co-Chair of the African-American Steering Committee of the DGA. 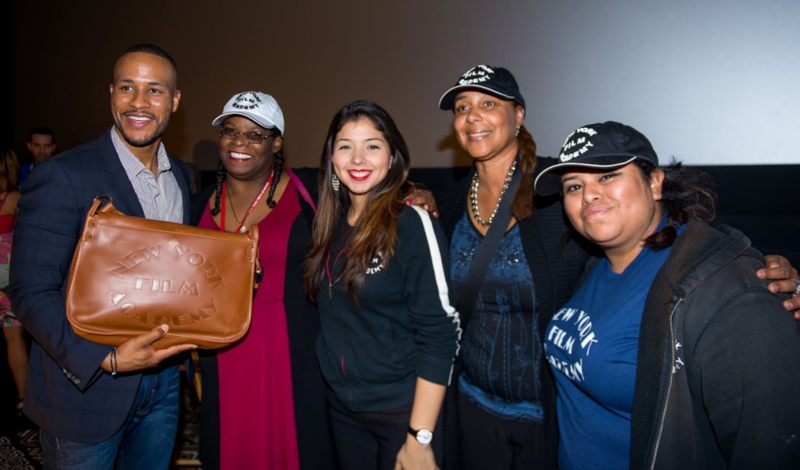 The Director’s Panel consisted of Ernest Dickerson (Bosch, Walking Dead), Charles Stone (CrazySexyCool: The TLC Story, Friday Night Lights), Princess Monique (Seasons of Love, The Call), Janice Cooke (Jane The Virgin, Pretty Little Liars) and Charles Murray (Sons of Anarchy, Castle).